Agile Management ? CSD Certification Course in Accra The capital city of Ghana, Accra is the fastest urbanizing city in Africa with interests in manufacturing, construction, communication, electricity, water, gas, real estate service and education amongst others. Offering a host of employment opportunities for skilled professionals, the gap between knowledge and skill can be bridged by signing up with KnowledgeHut; the globally renowned e-learning platform. KnowledgeHut is offering instructor led CSD certification in Accra to help software developers capitalize their expertise in the scrum environment. What is the course all about? Agile methodology is a preferred choice for software companies, allowing them to create quality software with just-in-time development technique, without overdesigning. CSD course in Accra is an end-to-end program that takes you through the scrum framework, fundamentals and principles of scrum environment as the first phase. The second phase is all about the practical and technical applications of the assimilated concepts. CSD training in Accra through practice sessions helps students write actual code and scenarios guided by expert tutors. 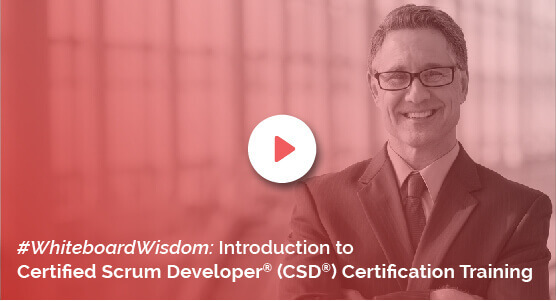 Benefits of the course: KnowledgeHut?s CSD training in Accra helps developers to achieve the Certified Scrum Developer credential. This certification not only validates their knowledge on scrum fundamentals and principles but also their technical expertise in using scrum. Upon certification, successful candidates can register their own profile page on the Scrum Alliance website alongside using a specially designed logo to highlight their theoretical and practical credentials. Course material and downloadable e-books come in as additional coaching tools for the successful completion of agile and scrum e-learning program. The KnowledgeHut Way: KnowledgeHut provides expert instructor-led Certified Scrum Developer Certification in Accra with a very nominal course fee which includes Scrum Alliance Certification Examination fee. To pursue a promising career in using scrum model for agile development, enrol for CSD certification in Accra.